Controlling your blood pressure, blood sugar levels, cholesterol, triglyceride levels, or obesity can be a struggle. Even worse, many people have to monitor a combination of these conditions. A clustering of three or more of these risk factors is known as metabolic syndrome. Just one of these factors alone puts you at risk for heart disease, heart attack, and Type 2 diabetes. Imagine how much more in danger your health would be if you had metabolic syndrome. So, how can you keep up with balancing all of the risk factors to avoid metabolic syndrome? The latest research suggests a simple dietary solution could make it easier to keep these conditions at bay: avocados. I’m sure you’ve heard about all about the benefits of avocados, especially since they’ve been showing up in all sorts of recipes recently. From wraps and sandwiches to baked goods, you can find avocados in almost anything. The good news is that these pear-shaped berries have almost 20 different vitamins packed into them. And, they’re high in monounsaturated fats (the good kind of fat), which can help lower the not-so-good cholesterol. A recent review published in the Phytotherapy Research journal revealed that avocados may have a great effect on those with metabolic syndrome. Multiple studies in the report showed that the powerful berry has the most beneficial effects on lipid profiles, with changes to cholesterol, triglycerides, and phospholipids. 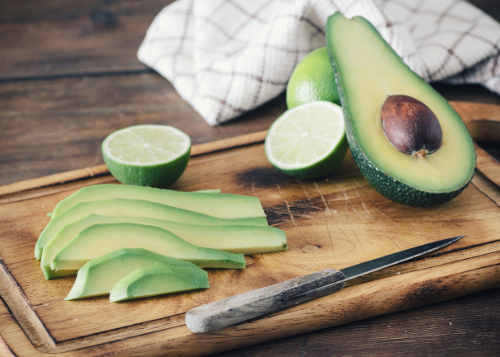 In addition to its cholesterol-altering abilities, avocado is also a major source of antioxidant carotenoids and phenolics, minerals, vitamins, and other beneficial fatty acids. Because of its nutritious properties, avocado also has blood-pressure-lowering, diabetes-fighting, anti-obesity, blood-clot-preventing, and heart-protecting effects. Incorporating avocado into your diet is easy, since the recommended serving size is only about 1/5th of a medium avocado. My favorite way to enjoy this super-nutritious food is to add a few slices on top of a piece of multigrain toast for breakfast, or pop some diced pieces into my favorite salad. If you’re not a huge fan of the texture, you can actually use it in baked goods in place of butter or oil. But, keep in mind that this will up your calorie intake. If you suffer from any of the conditions involved in metabolic syndrome, consider introducing avocado into your daily diet. It has a ton of nutritional properties, and can help reduce your risk of diabetes and cardiovascular diseases. Just remember that you have to use avocado as part of a well-balanced diet; just adding it to an overall poor diet isn’t likely to lead to the benefits you need. “Avocados May Help Combat the Metabolic Syndrome,” ScienceDaily, April 10, 2017; https://www.sciencedaily.com/releases/2017/04/170410110730.htm, last accessed April 18, 2017. “All About Avocados,” WebMD, June 13, 2016; http://www.webmd.com/food-recipes/all-about-avocados, last accessed April 18, 2017.